Public Domain Picture: This is an illustrated key that identifies some of the spiders that bite man, along with their morphologic characteristics. 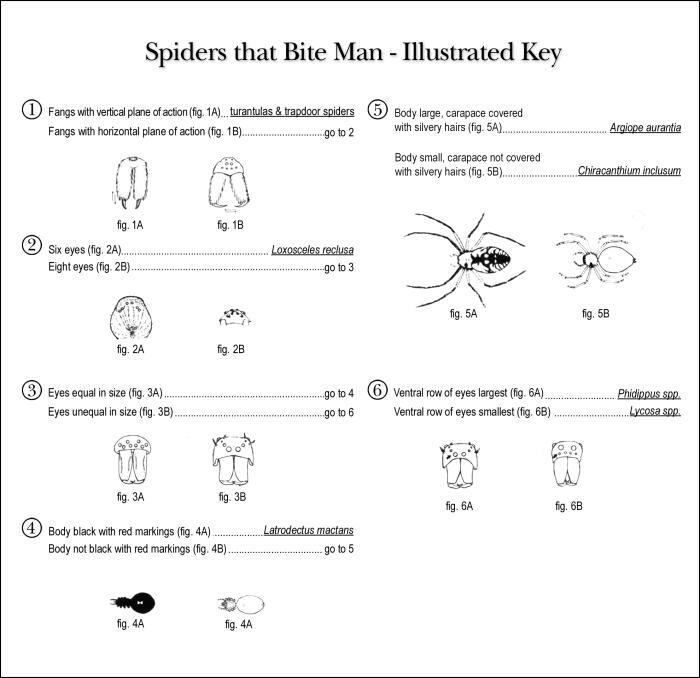 This is an illustrated key that identifies some of the spiders that bite man, along with their morphologic characteristics. Brown recluse spider, Loxosceles reclusa.